2018 Visual & Digital BAIR Fall, Banff Centre for the Arts and Creativity, Alberta, Canada to make Microbiome, a sculpture on collective breath and communication technology. 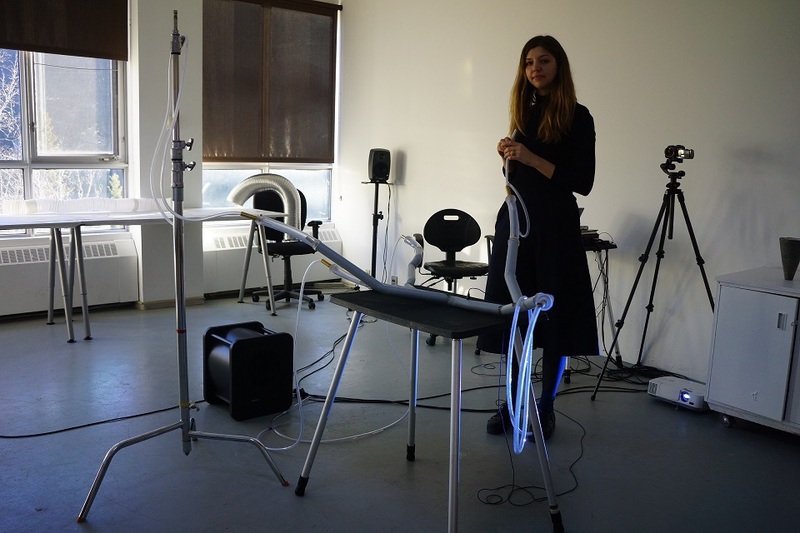 2017/18: Instrument Sculptures, 2017-18 Canada Council for the Arts Media Production Grant. 2017: Matrices, Tensions, Sound = Sculptures Project, 2017 Grants for the Arts, Arts Council England. Instrument Sculptures, at Chisenhale Dance Space, London. 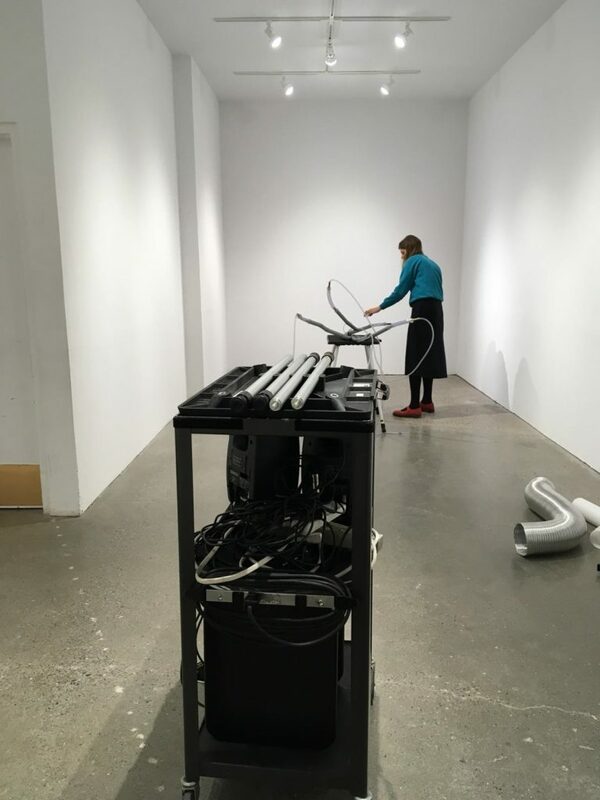 Installation of Poly Pipes in Banff Centre for the Arts and Creativity Project Space, 2018. Photo Vikki Wiercinski.